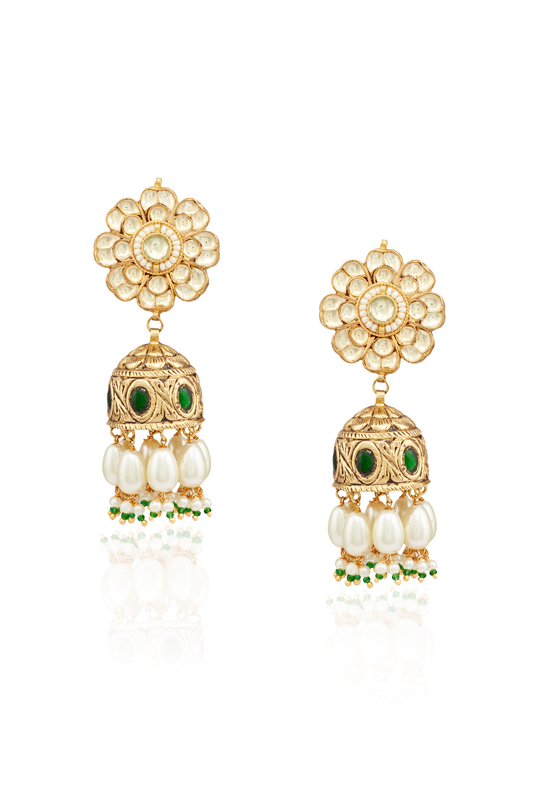 Floral green kundan jadau jhumki designed by Maisara at AASHNI+CO. Maisara creates a classic statement with the customization of this pair of floral earrings with kundan jadau embellishments. Wear it with your lehenga ensemble to make heads turn.